MEP and West Brom season ticket-holder Sion Simon has launched a stinging attack on Fifa chief Sepp Blatter in European Parliament. The Fifa president is coming under increasing pressure to resign after a string of high-ranking officials were arrested on corruption charges. Labour West Midlands MEP Mr Simon branded Blatter’s 17-year tenure at the top of world football a “disgrace” and said ordinary fans were “sickened” by the state of the game. Speaking in the European Parliament in Brussels, he said: “Mr President. Professional football was born in my constituency 127 years ago, when Aston Villa, Stoke City and the mighty West Bromwich Albion got together with a handful of other football clubs to form the football league. “And the beautiful game went on to become the world’s dominant sport. “But now, Mr President, the beautiful game is being dragged through the mud and bought into disrepute by Sepp Blatter’s disgraceful leadership of Fifa, which has become a discredited organisation, ridden as we now know with criminality and money laundering at the very top. Mr Simon said ordinary football fans were “outraged and feel tainted by what’s going on”. 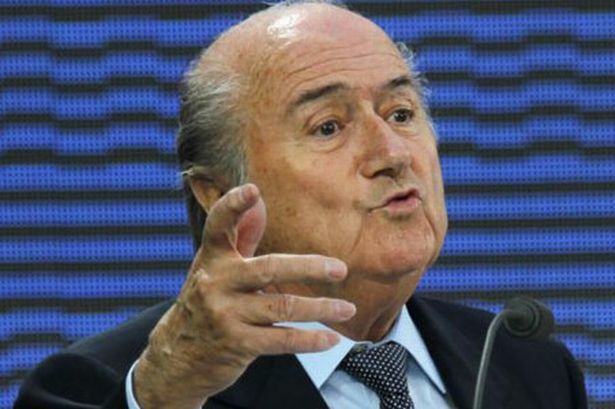 He follows in the footsteps of Prime Minister David Cameron in calling for Blatter to step down. Labour has suggested a rival tournament be set up if the bidding for the 2018 and 2022 World Cups is not reopened. But Culture Secretary John Whittingdale said nations were not “yet at the stage of boycotting the World Cup”.